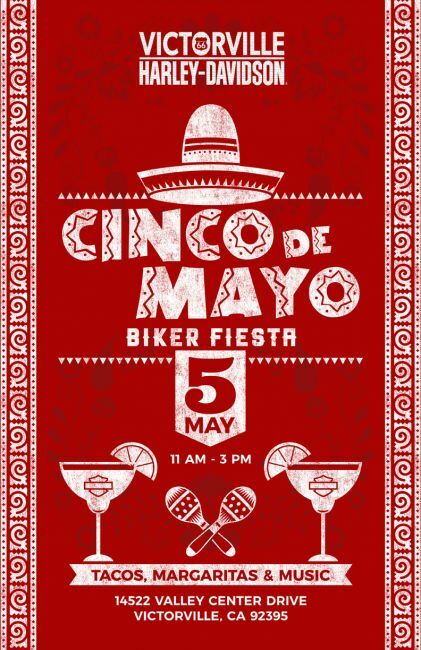 CINCO DE MAYO: BIKER FIESTA! Tacos! Margaritas! Music and More! Join us on Saturday, May 5th here at VICTORVILLE HARLEY-DAVIDSON!